We are engaged in manufacturing and supplying precision engineered and cost effective range of machines for making wires and cables. We also manufacture a comprehensive range of cable plant machinery. 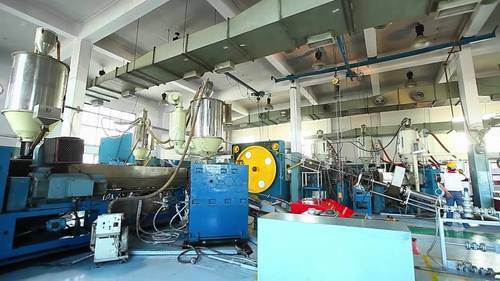 Our extensive industry expertise of more than two decades helps us in manufacturing and offering a wide range of Cable plant machinery, Wire and Cable Machines to a large number of clients in market. Our Wires and Cables Machinery such as Wire and Cable Machines, PVC Cable Plant, Wire & Cable making Complete Plants, Twisting Machines, Cable Laying Machine, Wire Armoring Machine, Stranding Machine, High Speed Bunching Machines, Clock Standing Machine and Clock Anti Clock Standing Machine are made of high grade raw material that provides them longer life and durability.